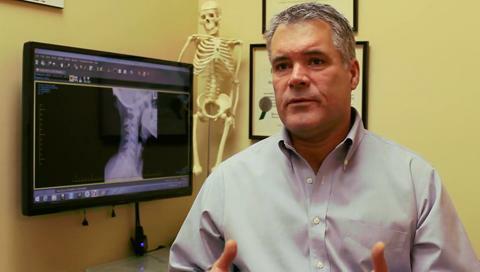 Fairway Chiropractic Centre provides patients in Kitchener with a variety of spinal and neck treatments to correct pain and a number of other health issues. The chiropractors and registered massage therapists at our clinic will help alleviate arthritis pain, asthma, headaches, spinal degeneration, stress as well as pain from motor vehicle accidents. Our treatments are tailored to help eliminate your discomfort. We provide treatment options for children and pregnant women. I could not recommend Dr Murdoch and his staff more. They are very knowledgeable and organized. Dr. Steven Murdoch of Fairway chiropractic is hands down the best chiropractor in Kitchener. I am so thankful that I found this chiropractic office after going to many of the Insurance appointed facilities and chiropractors. (useless) I did not receive any pain relief from my car accident injury until I went out on my own and found Fairway chiropractic. Just an amazing chiropractor and a very intelligent doctor. I have moved now but when ever in town I go for an adjustment and to say hello.